Encausse's pseudonym “Papus” was taken from Lévi's “Nuctemeron of Apollonius of Tyana” (supplement to Dogme et Rituel de la Haute Magie) and means “physician.” Papus is primarily remembered as an author of books on magic, Qabalah and the Tarot, and as a prominent figure in the various occultist organizations and Parisian spiritualist and literary circles of the late 19th and early 20th centuries e.v. He was born at La Coruña in Spain on July 13, 1865, of a Spanish mother and a French father, Louis Encausse, a chemist. His family moved to Paris when he was four years old, and he received his education there. As a young man, Encausse spent a great deal of time at the Bibliothèque Nationale studying the Qabalah, the Tarot, the sciences of magic and alchemy, and the writings of Eliphas Lévi. He joined the French Theosophical Society shortly after it was founded by Madame Blavatsky in 1884-85, but he resigned shortly after joining because he disliked the Theosophical Society's emphasis on Eastern occultism. He was also a member of the H.B. of L. In 1888, he and his friend Lucien Chamuel founded the Librarie du Merveilleux and its monthly revue L'Initiation, which remained in publication until 1914. 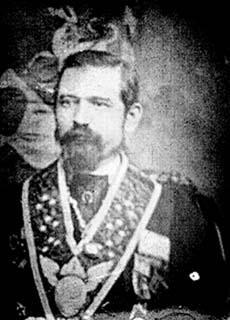 Although Papus claimed as his “spiritual master” the mysterious magician and healer known as “le Maitre Philippe” (Philippe Nizier), his first actual teacher in the intellectial aspects of occultism was the Marquis Joseph Alexandre Saint-Yves d'Alveydre (1842-1910 e.v.). Saint-Yves had inherited the papers of one of the great founders of French occultism, Antoine Fabre d'Olivet (1762-1825 e.v. ), and it was probably Saint-Yves who introduced Papus to the Marquis Stanislas de Guaita (1860 1898 e.v.). In 1888, Papus, Saint-Yves and de Guaita joined with Joséphin Péladan and Oswald Wirth to found the Kabbalistic Order of the Rose-Croix. 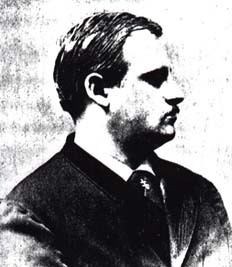 On May 12-15, 1891, Papus participated in the famous duels between de Guaita and Jules Bois, a writer who had attacked de Guaita in print. Bois had become involved in the “magical war” between de Guaita and his rival, the Abbé Boullan. 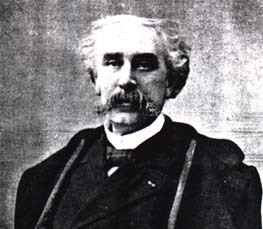 Boullan was the head of a schismatic branch of the Oeuvre de la Miséricorde (Work of Mercy), the occultist church founded by Eugène Vintras in 1851. The “magical war” had included the publication of La Bas, a novel by Joris K. Huysmans, which was a sensationalized account of a group of satanic sorcerers intended to portray de Guaita and his associates. The first duel was between Bois and de Guaita, and involved pistols. Bois had expected sinister magical influences to be exerted on the outcome of the duel; and indeed, his horse suffered fit of unexplained terror on the way to the duelling ground. Neither de Guaita nor Bois were hurt during the duel, but later, it was discovered that one of the guns (it was never determined whose gun it was) had misfired, and its bullet had never left the chamber. The second duel was with sabres, and was between Bois and Papus. This time, Bois' carriage collapsed twice on the way to the duelling ground. Papus and Bois were both only slightly wounded in the duel and they later became friends. 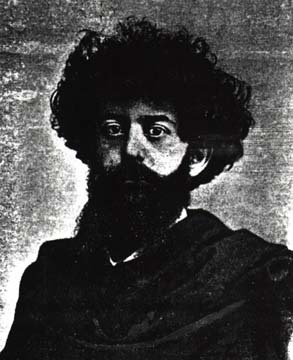 After the death of de Guaita in 1897 (from a drug overdose), Papus became the (last) chief of the Kabbalistic Order of the Rose-Croix. In 1891, Papus formed an organization called l'Ordre des Supérieurs Inconnus of three degrees, commonly known as the Order of the Martinists, which was based on two extinct Masonic Rites: the Rite of Elus-Cohens or Elected Priests of Martinez Paschalis, or de Pasqually (c.1700-1774 e.v. ); and the Rectified Rite of Saint-Martin of Louis Claude de Saint-Martin (1743-1803 e.v.) a student of de Pasqually who wrote under the pseudonym “The Unknown Philosopher.” Papus claimed to have come into the possession of the original papers of de Pasqually and to have been given authority in the Rite of Saint-Martin by his friend Henri Viscount Delaage, who claimed that his maternal grandfather had been initiated into the order by Saint-Martin himself, and who had attempted to revive the order in 1887. The Martinist Order was to become a primary focus for Papus, and continues today as one of his most enduring legacies. Papus visited Russia three times, in 1901, 1905 and 1906, serving Tsar Nicholas II and Tsarina Alexandra both as physician and occult consultant. In October 1905, he allegedly conjured up the spirit of Alexander III, the Tsar Nicholas's father, who prophesied that the Tsar would meet his downfall at the hands of revolutionaries. Papus allegedly informed the Tsar that he would be able to magically avert Alexander's prophesy so long as he was alive (his claim proved accurate, Nicholas kept his hold on the throne of Russia until 141 days after Papus's death). Although Papus seems to have served the Tsar and Tsarina in what was essentially a shamanic capacity, he was later curiously concerned about their heavy reliance on occultism to assist them in deciding questions of government. During their later correspondence, he warned them a number of times against the influence of Rasputin. Papus never became a regular (Grand Orient) Freemason. He opposed Masonry as being atheistic, in contrast to the Esoteric Christianity of the Gnostic Church, the K.O.R.C. and the Martinist Order. Despite this, he organized what was announced as an “International Masonic Conference” in Paris on June 24, 1908, and at this conference he received a patent from Theodor Reuss to establish a “Supreme Grand Council General of the Unified Rites of Antient and Primitive Masonry for the Grand Orient of France and its Dependencies at Paris.” It was probably on the same occasion that Reuss conferred upon Papus the X° of O.T.O. for France, and Papus in turn assisted Reuss in the formation of the O.T.O. Gnostic Catholic Church as a child of l'Église Gnostique de France. 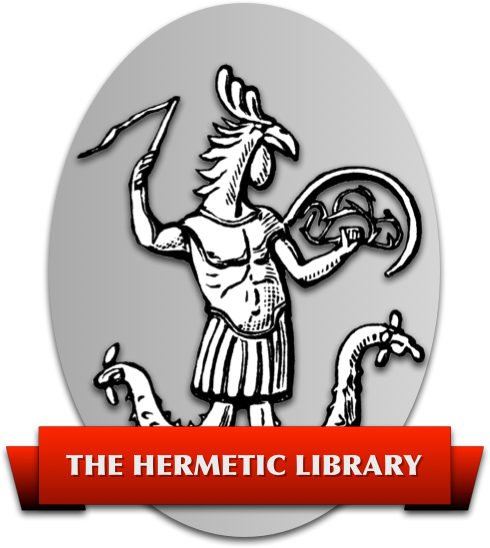 When John Yarker died in 1913, Papus was elected as his successor to the office of Grand Hierophant (international head) of the Antient and Primitive Rites of Memphis and Mizraim.